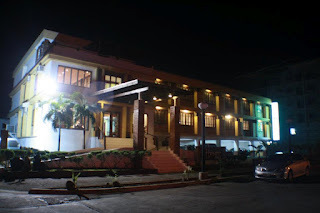 On our first night on the road we stayed at this hotel called Mango Valley Hotel. On the outside, the hotel is not very attractive. It's just that building. But the rooms are very nice. Spacious, clean and well kept. There's 9 of us including our driver and we rented for 2 rooms. The rate is very affordable at 2,500PHP. The room can accommodate all 9 of us but it would be hard to fight over 1 bathroom so we chose 2 get another room. 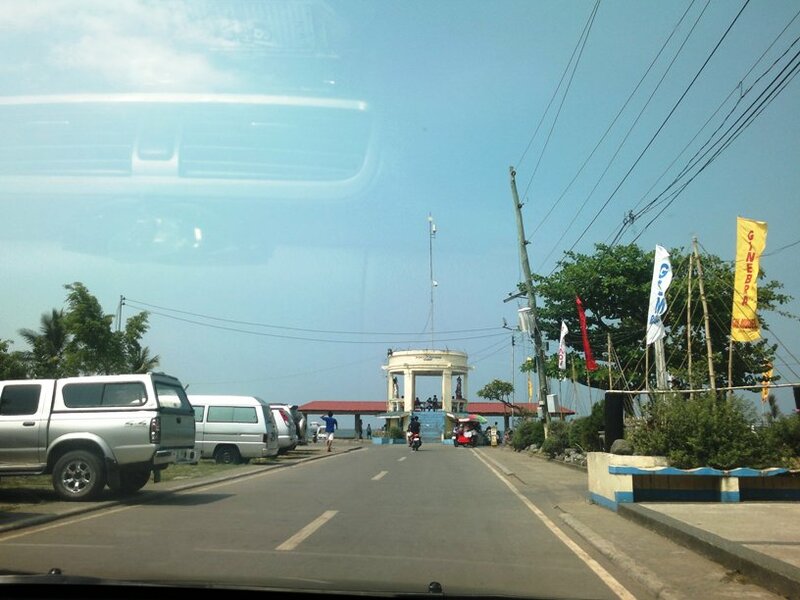 After a good night's sleep, we decided to go to 100 Islands which is located in Alaminos, Pangasinan. Honestly, I wasn't sure what we'd see there. I was told it's just a long boat ride and I wasn't thrilled about that. 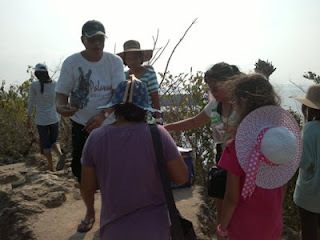 As expected, we were swarmed with vendors mostly of hats as well as 'middle-men [for the boat rides] as soon as we got off the vehicle. Our driver who's used to this kind of things did most of the talking with the middle-man. While waiting for our 'negotiator' we decided to choose a Sun Hat for me. I was the only without one so I got me one. A pink one! Ha! Anyway, we were told that the boat ride could take up to 4 hours depending on what we wanted to do. If we only wanted to see the islands without getting off the boat, then it would only take about an hour. Since we weren't sure what we wanted to do, we decided to rent the boat for the whole afternoon. 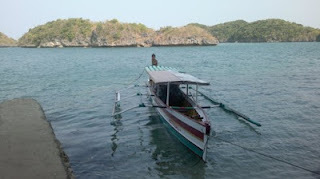 I was pleasantly surprise because the boat ride was very refreshing. I was kinda' expecting that it's going to be scary but it wasn't. The only scary part was the getting off the boat to see a couple of the islands up close. 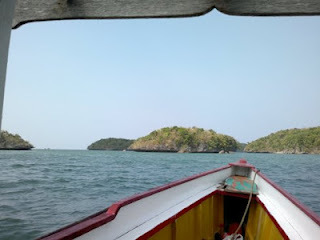 Here are some snaps we took while we were on the boat and while checking out 2 of the islands - Governor Cove & Cuenco Cave. This was on the very top of the Governor Island. We had to climb some 200 steps to get to this spot. Needless to say we were all panting once we got up there. But it was well worth it because the view was breathtaking. Since we didn't have a lot of time on our hands, we only checked 2 of the islands. 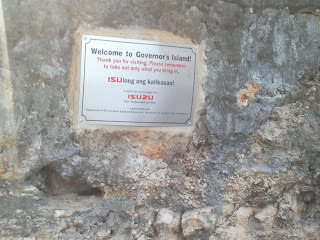 We however went around to see the other famous islands up close but without getting off the boat anymore. There was ne island there where people can pitch a tent and stay for the night. We obviously didn't do that but we saw some people there doing just that. 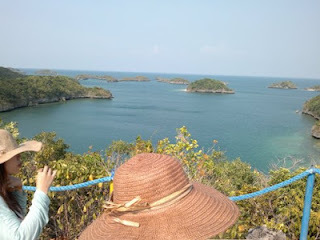 Ang ganda rin pala ng Hundred Islands! How much is the boat rent? 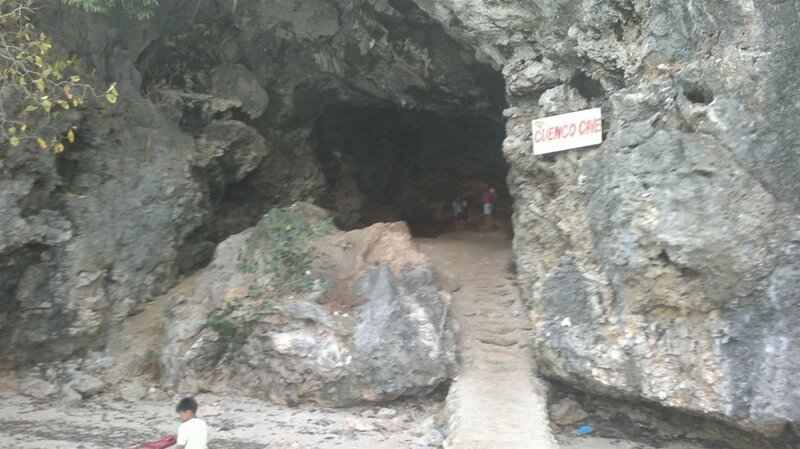 Parang scary naman yata mag-stay sa island in tent overnight. Looks risky! Lovely pink hat! 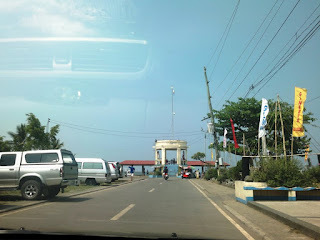 Mas maganda yang hat na yan kung nakaharap sa cam ang may suot! di ba?